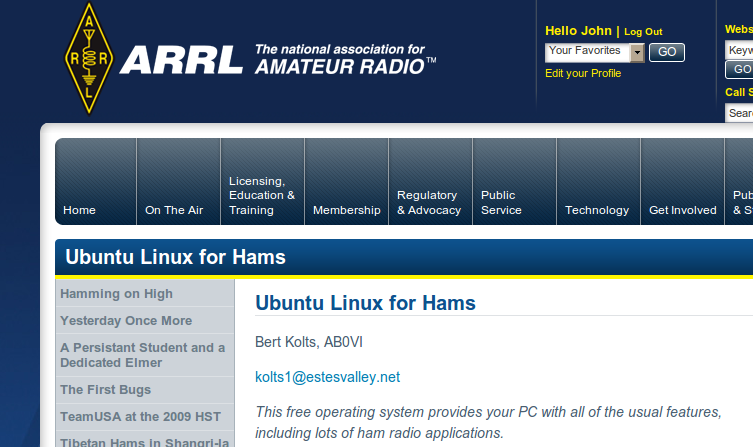 The ARRL web site had a nice entry about Ubuntu for Ham Radio. The article could have been four times as long and not cover all the aspects of why Ubuntu Linux is good for Ham Radio. Also, several of the applications that the author mentioned in the ARRL article that he used with WINE, have alternates available for Linux, including PCB layout software, and Circuit analysis. Almost ALL FREE. Besides, Ubuntu’s super easy to install Ham Radio repository of applications, HERE is a page full of stuff, ranging from the latest and greatest to older Linux Ham Radio programs. Ham Radio is about innovation, and experimentation. It is sad to see so much of it is built up on a closed, unexperimentalable, unmodifiable, and costly solution like Windows.